Chemical investigation of the dichloromethane extract of the leaves of Hoya pubicalyx Merr. yielded taraxerol (1), ß-sitosterol (2) and stigmasterol (3). The structures of 1-3 were identified by comparison of their NMR data with those reported in the literature. Chemical investigation of the dichloromethane extract of the fruiting bodies of Phellinus gilvus (Schwein.) Pat. has led to the isolation of ergosterol peroxide (1) and triacylglycerols (2). The structure of 1 was elucidated by extensive 1D and 2D NMR spectroscopy and confirmed by comparison of its13C NMR data with literature data. The dichloromethane extract of the leaves of Dracontomelon dao (Merr. & Rolfe) has led to the isolation of anacardic acid (1), ß-sitosteryl-3ß-glucopyranoside-6&apos;-O-fatty acid esters(2), ß-sitosterol (3), phytol (4), a mixture of phytyl fatty acid esters (5) and ß-sitosteryl fatty acid esters (6), chlorophyll a (7), squalene (8),long-chain fatty alcohols (9), and long-chain hydrocarbons (10). The structures of 1-10were identified by comparison of their NMR data with literature data. © 2016, International Journal of Pharmaceutical and Clinical Research. All rights reserved. Chemical investigation of the dichloromethane extracts of Ficus septica Burm.f. led to the isolation of ß-sitosteryl-3ß-glucopyranoside-6¿-O-fatty acid esters (1), a-amyrin fatty acid esters (2), and a mixture of ß-sitosterol (3a) and stigmasterol (3b) in a 5: 2 ratios from the twigs; and 3a, ß-amyrin (4), and long chain saturated fatty alcohols (5) from the leaves. The structures of 1-5 were identified by NMR spectroscopy. Chemical investigation of the dichloromethane extract of Dioscorea luzonensis Schauer. led to the isolation of 9-hydroxy-10E,12Z-octadecadienoic acid or a-dimorphecolic acid (1) from the skin of the tuber. The structure of 1 was elucidated by extensive 1D and 2D NMR spectroscopy and confirmed by mass spectrometry. © 2016, Taylor & Francis Group, LLC. Xao tam phan (Paramignya trimera (Oliv.) Guillaum) has been used as an herbal medicine for the treatment of cancer or cancer-like diseases in recent years, particularly in Vietnam. Drying is an important step for preparation of dried materials for storage and further investigation; however, the effects of drying must be taken into account when processing samples, because this can have profound effects on the stability of phytochemical compounds and the biological activity of the dried P. trimera root. As such, this study assessed the effects of four different drying methods (conventional, hot air, vacuum, and microwave) on phytochemical retention and antioxidant capacity of P. trimera root, to identify an optimal drying method for P. trimera root. The results showed that the drying methods significantly affected phytochemical levels and antioxidant capacity of P. trimera root and that among the four drying methods tested, microwave drying (400¿W) had the highest levels of phytochemical compounds, with total phenolic, total flavonoid, proanthocyanidin, and saponin contents of 11.27¿mg GAE, 19.88¿mg RE, 3.98¿mg CE, and 267.15¿mg EE/gram of dried sample, respectively. Dried sample prepared using this method had antioxidant capacity comparable to that of other drying methods. In addition, this method had the shortest drying time (0.28¿h) and consumed the least energy (0.28¿kWh). Therefore, microwave drying should be considered for drying P. trimera root for further investigation and utilization. Chemical investigation of the dichloromethane extract of the leaves of Alstonia scholaris (L.) R. Br. has yielded mixtures of erythrodiol (1a), uvaol (1b), and betulin (1c) in a 1:1:1 ratio, oleanolic acid and ursolic acid in a 2:1 ratio, ß-amyrin acetate (3b) and a-amyrin acetate (3b) in a 1:4 ratio, and ß-sitosterol (4a) and stigmasterol (4b) in a 3:2 ratio; squalene (5), ß-sitosteryl-3ß-glucopyranoside-6&apos;s-O-fatty acid esters (6), and chlorophyll a (7). The structures of 1-7 were identified by comparison of their NMR data with literature data. © 2016, International Journal of Pharmaceutical and Clinical Research. All rights reserved. Chemical investigation of the dichloromethane extracts of Melanolepis multiglandulosa (Reinw. ex Blume) yielded taraxeryl fatty acid esters (1), squalene (2), (E)-3-alkenoic acids (3), ß-carotene (4), a mixture of ß-sitosterol (5a) and stigmasterol (5b), long-chain fatty alcohols (6), and long-chain hydrocarbons (7) from the leaves; and 7, triacylglycerols (8), and long-chain saturated fatty acid esters (9) from the twigs. The structures of 1-9 were identified by comparison of their NMR data with literature data. Chemical investigation of the dichloromethane extracts of the stems of Hoya paziae Kloppenb. led to the isolation of taraxerol (1), taraxeryl acetate (2), and a mixture ?-amyrin acetate (3), and ß-amyrin acetate (4) in about 2.5:1 ratio. The structures of 1-4 were identified by comparison of their NMR data with those reported in the literature. © 2015 Elsevier B.V. Xao tam phan (. Paramignya trimera (Oliv.) Guillaum) is a Vietnamese traditionally medicinal plant used in the treatment of numerous cancers. The preparation of Xao tam phan extracts including solvent type and extraction method have significant effects on extraction efficiency, phytochemical profile and biological activity. This study aimed to investigate the effects of five various solvents (water, acetonitrile, methanol, ethyl acetate and hexane) and three different extraction methods (conventional, ultrasound-assisted and microwave-assisted) on phytochemical yield and antioxidant capacity of P. trimera root from Vietnam. The results indicate that methanol extracted the maximal yield of phytochemicals from P. trimera and exhibited the greatest antioxidant capacity, with eleven compounds were identified and quantified. Microwave-assisted extraction produced the maximal phytochemical yields (except for total flavonoids) and antioxidant capacity, when compared to conventional and ultrasound-assisted extractions. These data reveal that the use of methanol and microwave-assisted extraction are recommended for extraction of biologically active phytochemicals from P. trimera root for application in the nutraceutical and/or pharmaceutical industries. A stigmasterol glycoside (stigmast-5,22-dien-3-O-ß-D-glucopyranoside) has been isolated from the chloroform fraction of root wood of Melochia umbellata (Houtt) Stapf var. degrabrata K. The compound structure was determined on spectroscopic evidences including IR, 1D and 2D NMR and compared to previous data. The isolate was also active against Aspergillus niger. Larvae of the ascidian Clavelina moluccensis do not settle in the field on the sponge Crella incrustans and are deterred from settling by crude chemical extracts of the sponge. Progressive refinement of extracts, guided by bioassays, led to the identification of lyso-platelet-activating factor (lyso-PAF) from the sponge, lyso-PAF is inhibitory in assays using ascidian, bryozoan, barnacle, and algal settlement and mussel byssal attachment. Its role in the field has not yet been demonstrated. © 1996 Plenum Publishing Corporation. A new cytotoxic aromatic alkaloid, pantherinine , and a mixture of nucleosides including 7-deazainosine  have been isolated from the ascidian Aplidium pantherinum collected at Stenhouse Bay, South Australia. The structures were determined primarily from 1H and 13C-nmr data, especially one-bond and multiple-bond proton-carbon correlations. Although 7-deazainosine  has been known as a synthetic compound for several decades, this appears to be the first report of its isolation as a natural product. © 1993, American Chemical Society. All rights reserved. Detailed spectroscopic and cytotoxicity data are reported for two new isoquinolinequinones, perfragilins A  and B , which were isolated from the bryozoan Membranipora perfragilis collected in South Australia. Both compounds, which are speculated to be of microbial origin, contain a relatively uncommon thiomethyl ether functionality. © 1993, American Chemical Society. All rights reserved. Recent work indicates that the responses of marine hervibores to brown algal (Phaeophyta) phlorotannins (polyphloroglucinols) differ between herbivores from temperate North America and Australasia. One possible explanation for this difference is that phlorotannins from algae from the two regions differ chemically, and hence affect hervibores differentially. We tested this idea by comparing 13C NMR spectra, elemental analyses, and molecular weight distributions of pholorotannins from three species of Australasian brown algae with analogous published data from phlorotannins of North American phaeophytes. NMR spectra and the results of elemental analyses of algal phlorotannins from the two hemispheres were similar. Compounds from the Australasian algae generally had lower molecular weight distributions, although the number of species compared (two from each region) was small. We conclude that chemical differences among the compounds do not adequately explain the differences in their effects on hervibores from the two hemispheres. Several additional arguments are presented which further support this conclusion. © 1992. High levels of polyphloroglucinol phenolics in marine brown algae are usually interpreted as a defensive response to herbivory. However, tropical brown algae generally contain very low levels of phenolics, even though herbivory in many tropical systems (e.g. coral reefs) is intense. This apparent paradox would be explained if polyphenolics did not deter tropical herbivores, in which case selection by herbivores for high levels of phenolics in tropical algae would be weak. To examine this hypothesis, in February 1989 we presented mixed assemblages of herbivorous fishes on the Great Barrier Reef with tropical, phenolic-poor brown algae (primarily Sargassum spp.) and closely related (conspecifics in one instance) phenolic-rich temperate species. Different species of brown algae were eaten at very different rates, but these differences were not correlated with variation in the phenolic levels among the plants. TLC and NMR analyses showed no evidence of other, non-polar, metabolites in these algae, with the exception of the temperate species Homoeostrichus sinclairii. Thus, variation in non-polar metabolites also did not explain the differences in susceptibility to herbivores among these algae. We conclude that the herbivorous fishes studied here were not deterred by phenolic-rich algae, which suggests that levels of phenolics in many tropical algae may generally be low due to their ineffectiveness as defences. However, alternative explanations for the pattern are possible, and these are discussed. © 1991 Springer-Verlag. The metabolites of the sponge Euryspongia sp. (Dysideidae) were investigated. The sponge was shown to contain the previously unknown sesquiterpene epoxides (15) and (16), and three known compounds, dehydrodendrolasin (1), thiofurodysinin acetate (13) and thiofurodysin acetate (14). Based on the spectral data of (1) and the synthetic compounds (l&apos;E)- and (1&apos;Z)-3-(4&apos;, 8&apos;-dimethylnon-1-enyl)furan (5) and (6), the structures of ¿the cis isomer of dehydrodendrolasin¿ (2), tetradehydrofurospongian-1 (3) and the related C21 furanoterpene (4) should be reevaluated. © 1989 ASEG. The alga Cystophora moniliformis contains two new bisnorsesquiterpenes, (5E, 9E)-5, 6-epoxy-6, 10, 14-trimethylpentadeca-9, 13-dien-2-one (3) and its cyclized derivative (4), and the (2E) and (2Z) isomers of geranylgeranal epoxide, (5) and (6), respectively. The structures of the new compounds were deduced by spectroscopic means. Geranylacetone (1) was the major metabolite present in the alga. © 1988 ASEG. The metabolites produced in liquid culture by the Ascomycetous fungus Gremmeniella abietina (Lagerb.) Morelet, the causative agent of Sclerodems canker in pines, have been investigated. The major metabolite, which we have named sclerodin, is (-)-4,7-dihydroxy-2,3,3,9-tetramethyl-2,3-dihydronaphtho[1,2-b]furan-5,6-dicarboxylainch ydride (I), the enantiomer of the so-called "naphthalic anhydride from atrovenetin". Several highly colored compounds, including the enantiomer of atrovenetinone (3), the blue compound 6, the red acenaphthenequinone derivative 8 (sclerodione), and the yellow 8-hydroxysclerodin (12) were also obtained. The blue compound 6, named Sclerodems blue, has been prepared from 3, and sclerodione (8) has been transformed into sclerodin (1). A furanoquinol, C22H28O3, extracted from a sinularian soft coral has been shown to have the structure (3) based on spectroscopic evidence and the preparation of the related furanoquinone (4). Tables of 1H and 13C n.m.r. values for compounds (3) and (4) are given in two solvents. The compound (3) is best regarded as a modified polyprenylated quinol, and has the systematic name: 2-[3&apos;, 7&apos;-dimethyl-8&apos;-(4"-methyl-2"-furyl)octa-2, 6&apos;-dienyl]-5-methylhydroquinone. © 1978, CSIRO. All rights reserved. A new bicyclic diterpene, (3E, 5E)-2-methyl-6-[(2&apos;7R*, 4a&apos;S*, 8a&apos;R*)-4a&apos;-methyl-8-methylene-trans-per- hydronaphthalen-2&apos;-yl]hepta-3, 5-dien-2-ol (1), is reported as the major terpenoid component from Lobophytum hedleyi. It represents the first non-cembranoid diterpene to be reported from soft corals. A minor component in the coral is tentatively identified as the 7-hydroxy derivative of (1). Evidence for the structure of (1) is mainly spectroscopic but final proof rests on degradation and conversion into a known compound. © 1978, CSIRO. All rights reserved. © 2018 International Society for Horticultural Science. All rights reserved. Phyllanthus amarus (P. amarus) has been used for herbal medicines, particularly for liver support in many countries. The preparation of dried sample is crucial for further extraction and isolation of phytochemicals. In this study, the effects of six different drying methods (hot-air, low temperature-air, infrared, microwave, sun and vacuum drying) on the phytochemical yield and antioxidant capacity were determined to identify the optimal drying method for P. amarus. The results showed that different drying methods, as well as different drying conditions within each method, significantly affected phytochemical yield and antioxidant capacity of P. amarus extracts. Infrared drying at 30°C was the best method for both retention of bioactive compound yield and antioxidant capacity of P. amarus extract, with twelve compounds were identified. Therefore, infrared drying at 30°C is suggested for drying P. amarus for subsequent assessment of bioactivity. 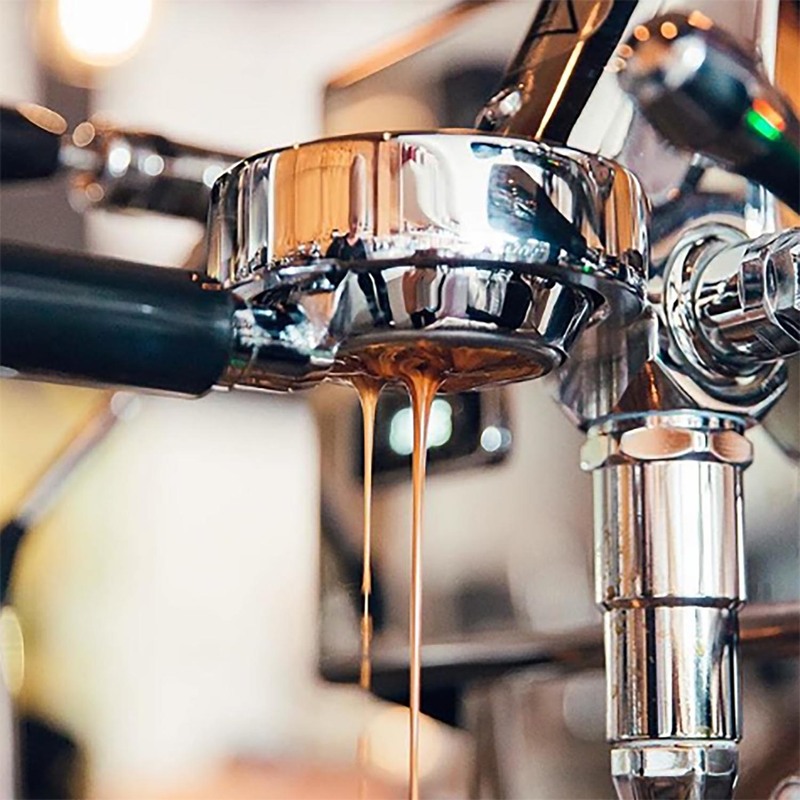 An Australian study has investigated five different types of popular coffee brewing methods to provide consumers with accurate information about their caffeine intake.